State and local governments are under attack from cyberespionage and malware, and they are exposed to a broad variety of security risks. 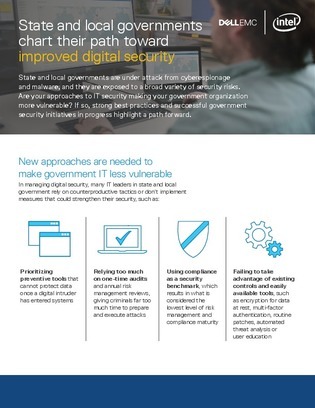 New approaches are needed to make government IT less vulnerable. Download this infographic from Dell EMC and Intel to learn more.